Your photos will bring back wonderful memories so be sure to bring your camera! Flights depart daily. Call us for pricing and to help you find the perfect vacation that is right for you. We are available 24 hours every day! 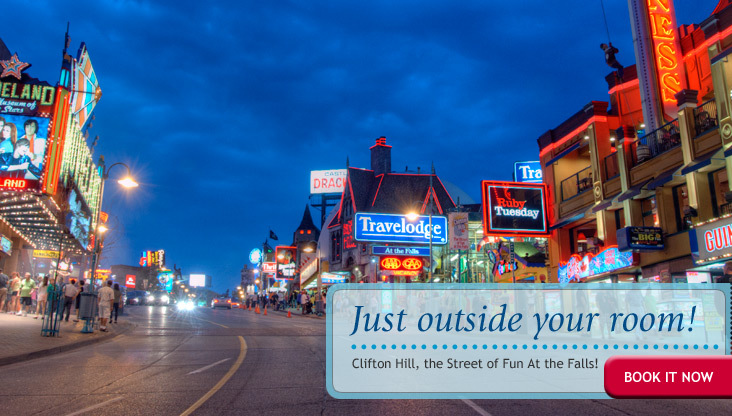 Create a memorable getaway at the Travelodge At the Falls located right on Clifton Hill, the street of fun at the Falls! 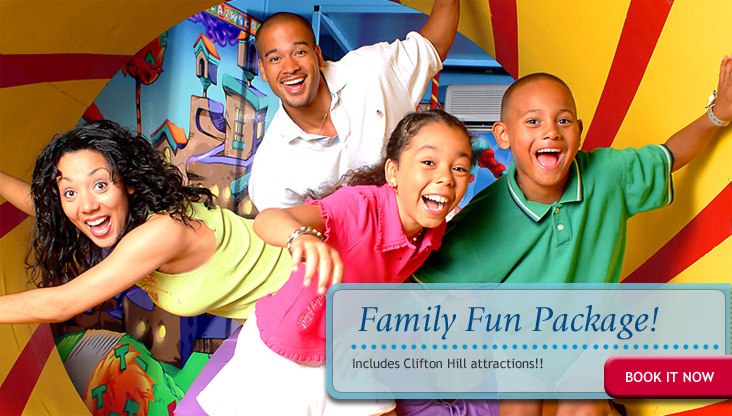 The Family Fun Package lets you take full advantage of just how much there is in Niagara Falls, Clifton Hill. 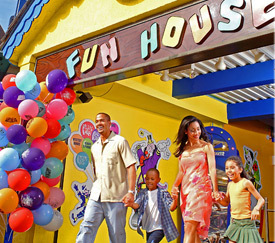 Enjoy a variety of unique attractions like The Fun House, The Haunted House, Brick City, Guinness World of Records Museum and more! 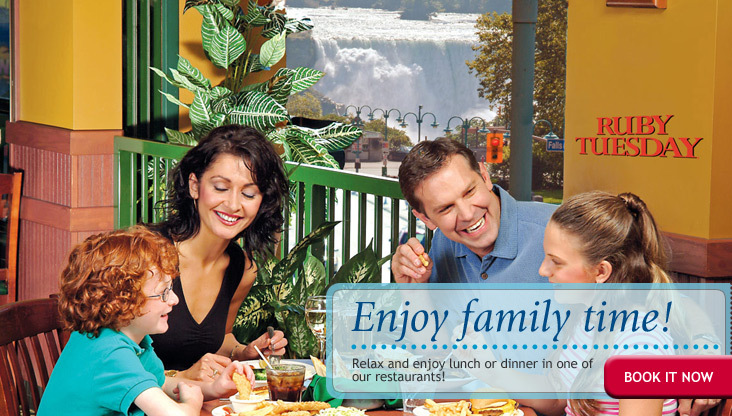 Children big and small will love the attractions and a lunch or dinner at either Ruby Tuesday or the Clifton Hill Family Restaurant. The best part? 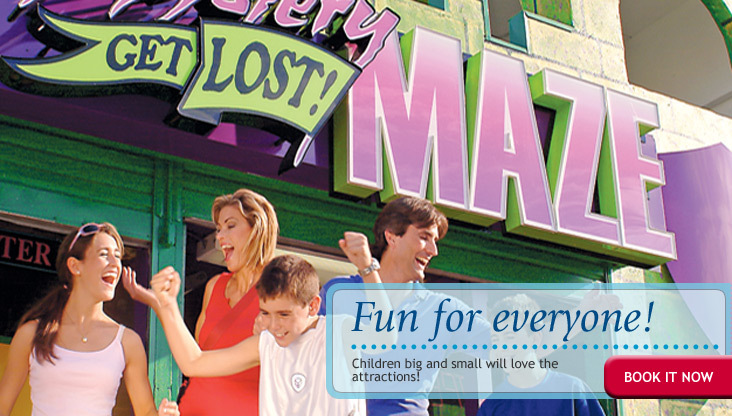 The attractions are just a quick walk from your hotel room! 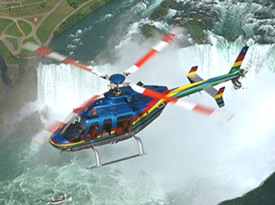 So have a blast with this popular package and make the most of your Niagara Falls vacation!